I’m partial to a glass of wine (or two…) and always enjoy a good ice cream – but both of them together?! Yes, that’s what I found on my travels in the small wine region of Cafayate in Argentina. 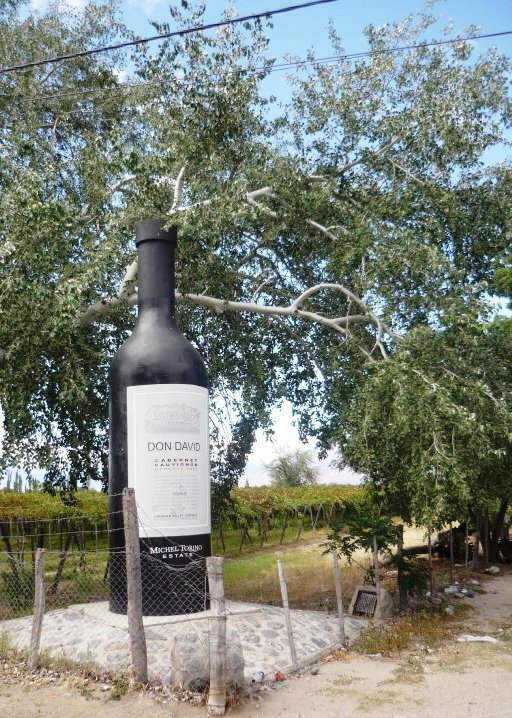 Cafayate, which lies in the heart of the Salta region, in the Valles Calchaquíes area, is famed for its spectacular, surrounding scenery of brightly coloured rock formations and waterfalls as well as for its abundant bodegas (wineries). Cafayate’s dry climate and high altitude, with hot days and cool nights, make it a prime location for wine-making. Its star is undoubtedly the Torrontés grape, which is used to create a dry, fruity white wine; earning the area global recognition. When exploring the by bike around the sun-drenched vineyards, working up a sweat in the hazy heat, I came across the ice cream parlour ‘Helados Miranda’ which offered curious ice cream creations including Torrontés (white wine) and Cabernet (red wine)– all homemade and produced from local grapes. Always keen to try something new and desperate for a refreshing treat and I spot of shade, I opted for the Cabernet. At first, the idea of red wine as an icy sorbet did seem a little odd, but as soon as it hit the taste-buds, it certainly worked and was delightfully zingy.